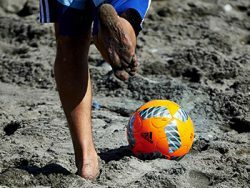 Beach soccer is a sport in the making in Serbia. Along with the sport itself, the national team is just being formed here. Our head coach is Dejan Knezevic, a long-time assistant of futsal national team head coach, Aca Kovacevic. Knezevic is a coach who has already been a Serbian futsal champion four times, and Montenegrin two times. During the process of the creation of national team, Knezevic will be able to count on several famous footballers from which the best known names are certainly those of former captains of Crvena Zvezda, Dejan Milovanovic and Nikola Mijailovic, but also on Serbian futsal national team captain and goalkeeper Marko Peric and Nemanja Momcilovic. – It is our desire to have as many footballers as possible try out on sand, especially young ones. Only then we will be able to form a wider player base. The candidates will not be evaluated by their age, but by their beach soccer skills. I am sure that they will not lack motivation, because they will have an opportunity to become the members of Serbia’s first beach soccer national team – explained Knezevic. 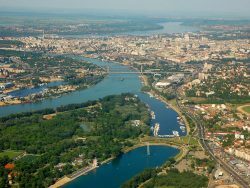 Selective trainings will be held from 20th May on the fields of Shark club at Ada Ciganlija, and all people who find this application interesting will first have to fill out a form which can be downloaded HERE. 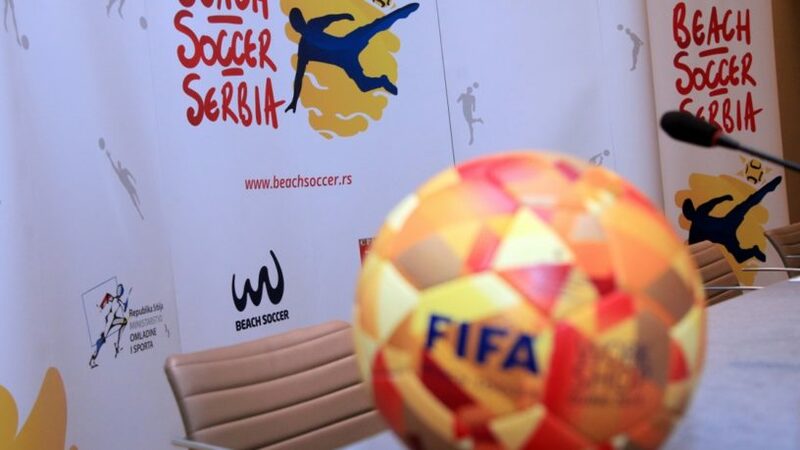 The staff of Serbian beach soccer national team will call potential candidates to participate on training sessions on the base of their application. – I hope that the footballers who are going to apply will be fit and ambitious. I would like to especially address this invitation to the players from lower football leagues and futsal teams, because this could be a great opportunity for them – said Knezevic. 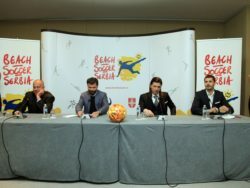 A great boost for the development of beach soccer in Serbian will certainly be the development of a stadium at Ada Ciganlija, but also the organization of Euro Beach Soccer Cup Belgrade 2016, which will be held from 24th to 26th June in the capital of Serbia. This tournament will be the first and very tough check for Serbian national team, considering that they will compete with some of the best national teams in the world: Portugal, Russia, Italy, Switzerland, Spain, Ukraine and Hungary. Also, Serbian national team will participate in qualifiers for European Championship from 1st to 3rd July in Moscow, and also in qualifiers for World Cup from September.